some are nicer than others ,some can be a bit too good at "improving your transit" and a few indicate a lot of organic or mineral "run off" but afaik none are toxic in uk waters . with a high sugars,carbs and protiens content as well vitamin c and a good selection of minerals they are both part of a balanced diet and a staple survival food . 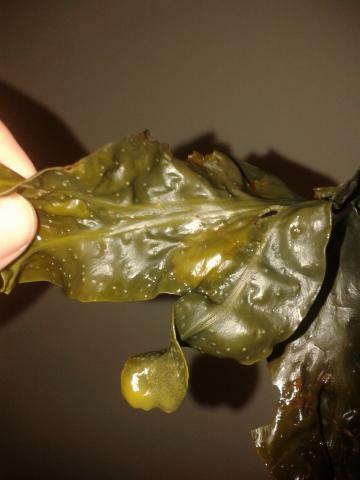 i like several green ones ,laver,dulse ,sugar wrack(a bit good at the transit thing )kelp is ok if young ,several others are ok .
dont eat washed up stuff ,pick it . I've collected a few handfuls today, to ID and for the pot if possible. 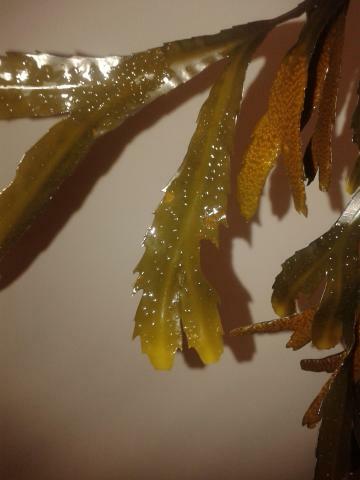 I gather there's nothing poisonous in terms of our seaweeds? I've just nibbled one and it's delicious. What I have doesn't seem to match the common pictures. Unless pepper dulse comes in red? some are good raw ,some dry well and some need turning into a paste to then fry or bake. And there's the reddish one, closest I see in shape is pepper dulse? the first one develops sweet goo in cyst like forked pockets ,when it gets a bit older tis ok but a bit "runny"if you eat too much. the last one is tasty and best cooked as a spice in something like invertebrate soup. the local/common names are confusing as they can be similar for different plants and different for the same one depending where you are . 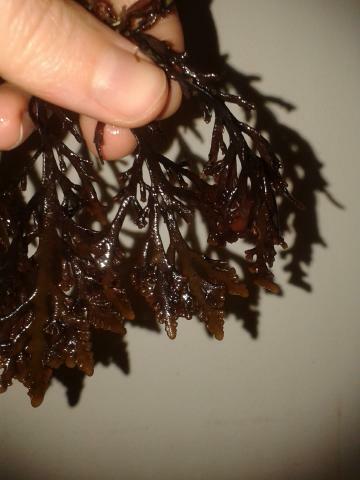 Top one is Fucus serratus Serrated wrack, next one is fucus spiralis, spiral wrack. I'm thinking pepper dulse for the last one - proper name evades me. There were lots of limpets and winkles I didn't have a bucket for. sea slaters are ace ,treat like prawns . filter feeders should only be eaten from clean waters and even then raw is a bit of a lottery . And they taste like fatty snake!